Pre inspect the ramps before use to ensure they are safe to use for the job at hand. Ensure the trailer is attached to a vehicle before loading or unloading. Attach the ramps to the trailer using suitable straps so they can’t come unattached. 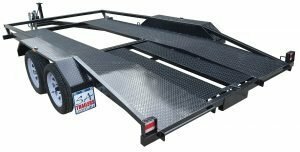 Ensure the trailer ramps are secured to the trailer before towing. Note: Never overload the trailer ramps. Line up the ramps with the front tyres of the car. Monitor the ramps as the car is being loaded to ensure they are lined up correctly. Slowly drive or winch the vehicle onto the ramps. Continue straight onto the trailer until 60% of the weight is in the front half of the trailer. Load the vehicle onto the trailer straight and centered. (left to right). Ensure 60% of the weight is in the front half of the trailer. (Engine first). 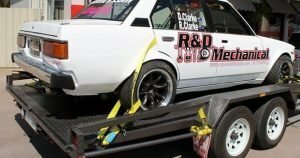 Always use rated ratchet straps (not rope) to secure the car to the trailer. Secure all four corners of the vehicle to the trailer. Tie down onto the vehicles rated tow points or over the chassis. 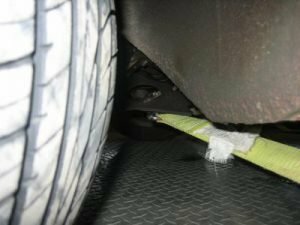 Tie the vehicle down in such a way that the straps won chafe or move during transit. Disconnect winch strap during transit (if used) or it may snap or break. Ensure the vehicles handbrake is on and in gear. Check the tie down straps tension regally along journey. Note: Never stand behind a vehicle whilst it is being winched onto a trailer as the cable may break. 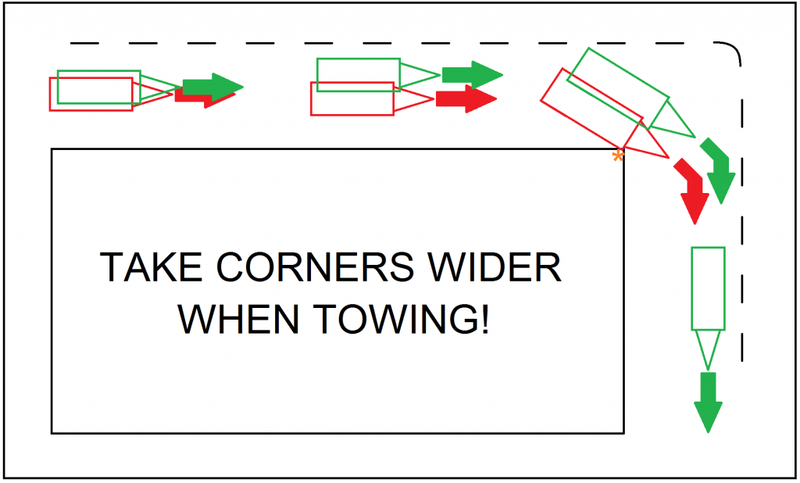 It is important to always allow extra space whenever overtaking, passing or turning with a car trailer. Always allow greater stopping distances when towing a car trailer. The weight of the trailer will reduce the performance of your cars brakes and require greater stopping distances. (Remember to break early and lightly for corners). It is a good practice to always have someone directing you when reversing with a trailer and apply your hazard lights to warn other road users that you are attempting to reverse. 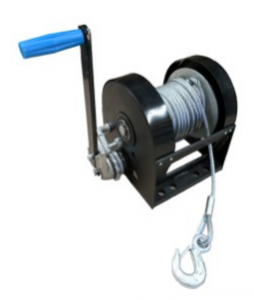 The trailer winch must never be used to unload a vehicle from a trailer. The vehicle must be unloaded using its own means and breaking. When unloading a vehicle from a trailer, a person must be steering and braking the vehicle from the driver’s seat. Always allow room for the vehicle to roll off the trailer in the event the brakes fail. Never stand behind the vehicle when loading or unloading the trailer as winch failure may cause the vehicle to roll off the trailer.